Form: An upright to sprawling, mound-forming, herb. Mature Size: 1-2' high and wide. 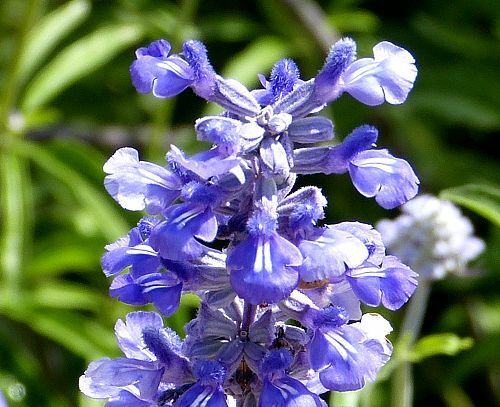 Flowers: Blue to purple, with two distinctive white stripes on a broad lower lip, tubular, arrayed in spikes, not edible. Bloom: All year in regions without freezes. Fruit: Up to four tiny seeds at the base of each dried calyx (cup-like structure formed from sepals that holds the flower and ovary). Leaves: Depending on cultivar: gray-green and felty to medium-green and smooth, broadly lance-shaped, margins toothed or not. Slightly fragrant, not edible. Stems: No thorns, not woody. 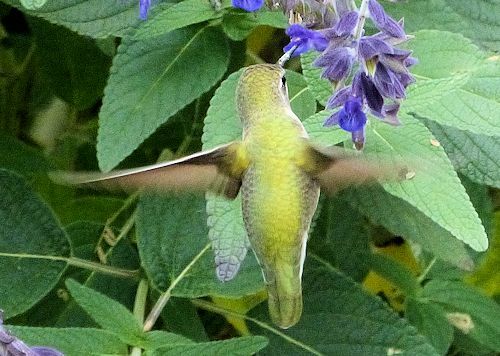 Wildlife: The flowers attract butterflies and hummingbirds. The seeds attract finches. Origin: New Mexico, Texas and Mexico. USDA hardiness zones: 7b-11, depending on cultivar. This plant dies to the ground in freezing temperatures and recovers from its roots in the spring. Heat tolerant: Somewhat. It does poorly in temperatures over 100°F. Sun: Full sun in cool months. Up to three-quarters shade in the hottest months of the year. Water after becoming established: Once or twice a month in temperatures under 85°F or in part shade, weekly in high temperatures. It is tolerant of frequent watering if the soil drains quickly, but overly moist soil results in leggy, weak stems. Some varieties need more water. Soil: Well drained, dry to slightly moist, low in organic content, pH 6.1-7.8 (slightly acidic to slightly alkaline). This plant is moderately salt tolerant. Fertilize with compost in March and July. Mulch: Do not mulch, especially in part shade. Prune: After extended flowering, prune for more compact growth which will temporarily reduce flowering. Prune spent flower stalks to promote new flowers. Litter: Low except for pruning. Propagation: Seed planted in the fall. This plant is a member of the Mint family (Lamiaceae). 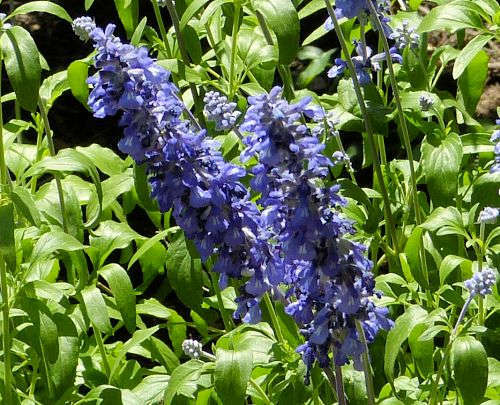 The common name refers to the sepals (leaves at base of flower), being mealy (whitish) in color, although sometimes they are purple. 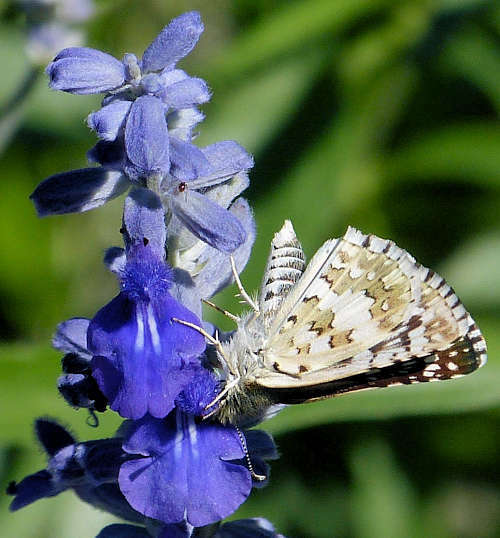 Another common name is Mealy Sage.